I’m Having Chest Pain: Is It a Heart Attack? I can tell you exactly when the pain started. I was riding my bike in Forest Park, the great urban park of St. Louis. Ordinarily, I cycle from my house to the park, cutting across the ivy-covered semi-Ivy league campus of nearby Washington University and circling its beautiful acres on a recently refinished bike path. Instead of continuing straight along the bike path, the late cyclist suddenly veered to the left, following a heretofore untraveled spur that led up into the dark, impenetrable forests of the park. At this point, the sensible, sixty-something portion of my psyche should have taken over and had me continue on the relatively straight, flat and well-traveled road that I had grown accustomed to. Alas, it was the teenage boy who took control and insisted on us taking the road less traveled. The spur of the bike path had not been regularly maintained and there were numerous rough spots: ridges and chasms emerged with disconcerting frequency as I progressed. The lure of exploration pulled me on. I kept my speed up as I descended a hill with the path turning sharply to the right. Suddenly an even sharper right turn emerged with a particularly uneven section of path. 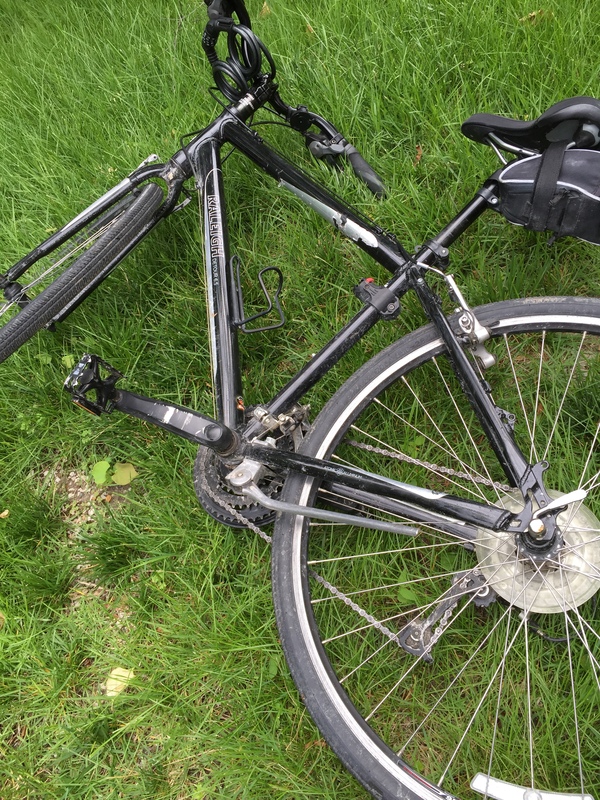 I lost control of the bike and landed heavily on my left side. I felt a sudden sharp pain just to the left of my breastbone about midway in my chest. As a cardiologist I spend a lot of time talking to people about chest pain and thinking about what is causing it. The heart is in the chest and it is natural to believe that pain that comes from this area could be a manifestation of the dreaded heart attack. Since heart attacks are the #1 killer of both men and women and they can very quickly lead to life-threatening arrhythmias it is wise to take seriously any pain in the chest. I was trained to sort what patient’s described to me about their chest pain into three bins: Typical anginal pain, atypical anginal pain and non cardiac pain. Cardiologists consider any discomfort from the lower ribs up to the bottom of the neck as chest pain although patients often don’t perceive it as a pain. Heart attack pain often feels like a pressure, a heaviness or a burning and in addition to somewhere in the anterior chest region it can manifest in the neck or jaw or one or both of the upper arms. My chest pain was worse when I took a deep breath (pleuritic) and this almost always indicates a lung cause or inflammation in the muscle/bones/joints that are related to breathing. Furthermore, pushing on the ribs made it worse making it virtually certain that it was musculoskeletal. A brief (well done) history and physical exam therefore would assign my chest pain to the “non cardiac” bin. Typical anginal pain is brought on by exertion, lasts 3-15 minutes and is relieved by nitroglycerin or rest. The probability of a patient with non cardiac chest pain having significantly blocked coronary arteries is generally lower than that of a patient with typical anginal pain. However, as this chart demonstrates, patients (generally those with significant risk factors) can have severely blocked coronary arteries and have non cardiac chest pain. For example, I have risk factors of age (>55 years), being male, hyperlipidemia and hypertension. A cardiac catheterization done on me at the time of my non cardiac chest pain might well show significantly blocked coronary arteries. Of course, these blocked arteries would have absolutely nothing to do with my pain. This fundamental paradox is the source of a lot of the overtesting and over treatment that occurs in cardiology. Most of the time, chest pain that prompts a patient to come to the ER or doctor’s office does not fall easily into the non cardiac category or the typical anginal category: these are the atypical anginal patients. Additional testing is required , progressing from EKGS and cardiac enzymes to stress testing to cardiac catheterization. If there are elevation of the cardiac enzymes or abnormalities of the EKG that indicate a recent or active heart attack then a cardiac catheterization is warranted because it is very highly likely that a tightly blocked coronary artery is the cause and opening that artery will be beneficial. However, most patients have normal cardiac enzymes and unremarkable EKGS and can end up getting catheterizations (due to either inaccurate stress tests or cardiologist’s recommendation) that they don’t need. Once a catheterization is done, patients may then get a stenting procedure on a blocked coronary artery that wasn’t causing any problems. Not uncommonly, multiple blocked coronary arteries are found and the patient is rushed off to have a bypass operation. If the blocked arteries weren’t the cause of the patient’s chest pain (i.e. the pain was non cardiac) these procedures are likely doing more harm than good. I’ve spent thirty years fielding after hours telephone calls from patients who are having chest pain. It is not easy to make a reliable determination of who is likely having a heart attack or other potentially dangerous cardiac problem and who is not just based on the history. If a patient called me describing what I described above I would likely advise him to go to the ER for evaluation (although I would be pretty sure it wasn’t a heart attack: sometimes rib fractures are associated with collapsed lungs or hemorrhage into the pleural space and sometimes trauma to the chest can cause heart damage). It’s always better to err on the side of caution when were’ dealing with potentially life-threatening problems. After office hours, the only way to get an electrocardiogram and cardiac enzymes to be sure that the chest pain is or is not a heart attack is to go to an ER. Generally, if the patient has escalated the level of concern to calling the on call cardiologist, the symptoms are worrisome. If you’re having a heart attack at any second your heart can go into ventricular tachycardia or ventricular fibrillation and you will die within minutes. Thus, I have to have a very low threshold for advising trips to the ER. If I’m wrong, the patient could die. I didn’t go to the ER because I was 100% certain that my chest pain was non cardiac. I’m also a doctor and therefore a very bad patient. I survived, however, and over several weeks the pain gradually subsided. As a result of this fall (and several other bike falls I’ve had in the last few years) I’ve re-evaluated my cycling. I’m going to stay on very well-maintained paths and slow way down when the going gets rough. Hopefully, this will allow me to continue the cycling which I’m convinced is helping to prevent me from visiting the ER with a true heart attack! The skeptical cardiologist was in Atlanta recently visiting his Life Coach (LCOSC). Oddly enough, the wife of the LCOSC (who I’ll call Lisa) had just undergone a coronary calcium scan and it came back with a high score. Most women her age (58 years old) have a zero score but hers came back at 208 . What is the significance of a calcium score of 208 in this case? The CT scan for calcium (discussed by me in more detail here) focuses entirely on quantifying the intense and very specific kind of x-ray absorption from calcium. The three-dimensional resolution of the scan is such that the coronary arteries which supply blood to the heart can be accurately located and the amount of calcium in them very accurately and reproducibly added up. Calcium is not in the arteries normally and only accumulates as atherosclerotic plaque builds up over time. The build up of fatty plaque (atherosclerosis) is the major cause of coronary artery disease (CAD, sometimes termed coronary heart disease (CHD)) which is what causes most heart attacks and most death in both men and women in the U.S.
We can enter Lisa’s numbers into the online MESA calculator to see how she compares to other white 59 year old women. The calculator tells us that 72% of her peers have a zero calcium score and a score of 208 is higher than 95% of her peers. Although the 95th percentile is a good place to be for SAT scores it is not for atherosclerosis. This means substantial amount of fatty atherosclerotic plaque has built up in the arteries and puts the individual at significantly greater risk for heart attack and stroke. A calcium score of 100-300 confers a 7.7 times increased risk compared to an individual with similar risk factors with a zero calcium score. Most of the risk factors that we can measure to assess one’s risk of heart attack (blood pressure, diabetes, smoking) were absent in Lisa. Her cholesterol levels had risen in the last 10 years but when I entered her numbers (total cholesterol 221, HDL 68) into the ASCVD risk estimator her 10 year risk came back at 2.5%. This is considered low and no treatment of cholesterol would be advised by the new guidelines. The only clue that her cardiologist would have that Lisa has advanced premature atherosclerosis is that her mother had coronary heart disease at an early age, something we call premature CAD. Her mom at the age of 62 suffered a heart attack and had a stent placed in one of her coronary arteries. The occurrence of significant premature CAD in a parent or sibling substantially increases the chances that a patient will have premature CAD and the earlier it occurred in the parent or sibling the higher the risk. Some of this excess risk is transmitted by measurable risk factors such as hypertension and hyperlipidemia and some through lifestyle factors but the majority of it is through genetic factors that we haven’t fully identified. How much of an individual’s risk for heart attack is determined by genetics versus lifestyle? A large Swedish study found that adopted men and women with at least one biological parent with CHD were 1.5 times more likely to have CHD than adoptees without. In contrast, men and women with one adoptive parent were not at increased risk. How well do the standard risk factors capture the individuals risk for heart attack? The standard approach to estimating risk fails in about 25% of individuals as it does not accurately convey the high risk of the patient with family history and it overestimates risk in many elderly individuals who have an excellent family history. It is in these patients that testing for the actual presence of atherosclerosis, either by vascular screening or coronary calcium is helpful. For many individuals there are clear-cut lifestyle changes that can be implemented once advanced CAD is identified: cigarette smoking cessation, weight loss through combinations of diet and exercise with resulting control of diabetes, However, many patients like Lisa, are non-smokers, living a good lifestyle, eating an excellent diet with plenty of fresh fruit, vegetables, fish and healthy oils and without obesity or diabetes. There is no evidence that modifying lifestyle in this group is going to slow down an already advanced progression of atherosclerosis. Patients like Lisa have inherited predisposition to CAD, it is not due to their lifestyle. Such “plant-based diets” (codeword for vegan or vegetarianism) lack good scientific studies supporting efficacy and are extremely hard to maintain long term. There is nothing to suggest that Lisa’s long term risk of heart attack and stroke would be modified by following such a Spartan dietary regimen. Her cardiologist did recommend two things proven to be beneficial in patients with documented advanced CAD: statins and aspirin. Taking a statin drug will arrest the atherosclerotic process and reduce risk of heart attack and stroke by around 30% as I’ve discussed here and here. An aspirin is now indicated since significant atherosclerosis has now been documented to be present as I’ve discussed here. We can blame a lot of heart disease on lifestyle: poor diets and lack of exercise are huge factors leading to obesity, diabetes, hypertension and hyperlipidemia, but in many patients I see who develop heart disease at an early age, lifestyle is not the issue, it is the genetic cards that they have been dealt. Until we develop reliable genetic methods for identifying those at high risk it makes sense to utilize methods such as vascular screening or coronary calcium to look for atherosclerosis in individuals with a family history of premature CAD. Once advanced atherosclerosis is identified, we have extremely safe and effective medications that can help individuals like Lisa deal with the cardiovascular cards they have been dealt. Should All Men Over Sixty Take a Statin Drug? The updated AHA/ACC Cardiovascular Prevention Guidelines (CPG) which include the excessively wordy “The Treatment of Blood Cholesterol to Reduce Atherosclerotic Cardiovascular Risk in Adults Risk” were published late last year and immediately were the center of controversy. After working with them for 9 months and using the iPhone app to calculate my patients’ 10 year risk of atherosclerotic cardiovascular disease (ASCVD, primarily heart attacks and strokes) it has become clear to me that the new guidelines will recommend statin therapy to almost all males over the age of 60 and females over the age of 70. As critics have pointed out, this immediately adds about 10 million individuals to the 40 million or so who are currently taking statins. Should we be starting all elderly Americans on statin drugs? My simple answer is no. It doesn’t make sense to do this, because clearly not all elderly individuals have atherosclerosis or will ever develop its consequences of heart attack and stroke. Many have inherited the genes that allowed their parents to live free of heart disease into their 90s and will not benefit at all from long term statin therapy; they may actually suffer the expense and side effects instead. How can we better decide who among the elderly will benefit from statin therapy? If you have read my previous posts on searching for subclinical atherosclerosis here and here you probably know the answer. Let’s look at a specific case and apply those principles. Robert is 69 years old. I see him because, in 2010, the posterior leaflet of his mitral valve ruptured, resulting in the mitral valve becoming severely incompetent at its job of preventing back flow from the left ventricle into the left atrium. I sent him to a cardiac surgeon who repaired the ruptured leaflet. Although he has a form of “heart disease,” this is a form that has nothing to do with cholesterol, hypertension or diabetes and is not associated with ASCVD. However, it is my job to assess in him, like all individuals, the risk of developing coronary heart disease or ASCVD. He has no family history of ASCVD and he feels great since the surgery, exercising aerobically 4-5 times per week. His BMI is 23.87 which is in the normal range. His BP runs 116/80. His total cholesterol is 210 and LDL or bad cholesterol is 142. Good or HDL cholesterol is 56 and triglycerides 59. The total and LDL cholesterol levels are considered “high,” but they could be perfectly acceptable for this man. When I ran his 10 year ASCVD risk (risk of developing a heart attack or stroke over the next 10 years), it came back as 14%. The new guidelines would suggest having a conversation with him about starting a statin if his risk is over 7.5%. 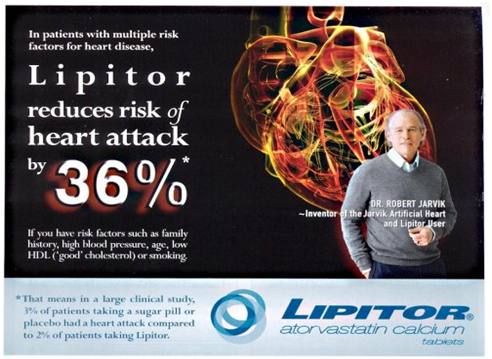 His risk is double this and statins are definitely recommended in this intermediate risk range. Interestingly, I cannot enter a cholesterol level or blood pressure for a man of this age that yields a risk less than 7.5%. When I had my discussion with him about his risk for ASCVD, I plugged his numbers into my iPhone and showed him the results and gave him the guideline recommendation. The new Cardiovascular Prevention Guidelines have a section devoted to Lifestyle Management to Reduce Cardiovascular Risk. Unfortunately, none of the lifestyle changes they recommend have been shown to reduce ASCVD risk in an individual like Robert. He already exercises the recommended amount, is at his ideal body weight and eats a healthy diet. If we were to tighten up on his diet by, say reducing red meat, eggs and high fat dairy, all we would accomplish would be to lower his LDL and HDL cholesterol levels and make his life and meals less satisfying. The lower total cholesterol and LDL cholesterol would not lower his risk of ASCVD and the calculated 10 year ASCVD risk would still be in the range where statins are recommended. Therefore, I am not going to tell Robert that he should reduce his saturated fat consumption (he already has incorporated that into his diet since he’s been bombarded with the low fat mantra for 30 years). I’m going to tell Robert that we need to know if he has atherosclerosis, the disease that we are attempting to modify. We started with an ultrasound to look at the lining of the large arteries in his neck that supply blood to the brain, the carotid arteries (a process I describe in more detail here). Although severe atherosclerotic blockages in these arteries put one at risk of a stroke, I was much more interested in the subtle changes in the arteries that precede symptoms and are an early harbinger of atherosclerosis. Careful ultrasound recording and measurement of the main common carotid arteries from both the left and right side showed that the IMT or thickness was lower than average for his age, gender and ethnicity. His carotid IMT was at the average for a 60 year old, therefore, his so-called vascular age was 60 years, younger than his chronological age. If I plug that age into the ASCVD risk estimator, I get an 8.2% 10 year risk, just barely above the statin treatment cut-off. Careful scrutiny with ultrasound of the entire visible carotid system in the neck on both sides did not reveal any early fatty plaques or calcium in the lining of the carotid arteries. He had no evidence for atherosclerosis, even very subtle early forms, in this large artery, a finding which is usually predictive of what is going on in the other large arteries in the body, including the coronary arteries, which supply blood to the heart. At this point, I think, we could have stopped the search for subclinical atherosclerosis and agreed that no statin therapy was warranted. However, Robert wanted further reassurance that his coronary arteries were OK, therefore we set him up with a coronary calcium study (see my full description of this test here). Robert’s coronary calcium score came back at 21 (all in the LAD coronary artery) , which put him at the 26th percentile compared to normal men of his age and gender. A score of 21 is average for a 59 year old man and 82% of men aged 69 have a score greater than zero. Robert had much less calcium in his coronaries than men his age, another factor putting him in a low risk category. Given the low risk findings from both the vascular screening and the coronary calcium, I felt comfortable recommending no statin therapy and going against the guidelines. This is not an unusual scenario; many of my older patients without heart attacks, strokes or diabetes fall into the risk category that would warrant statin therapy and if they have no clinical or subclinical evidence of atherosclerosis, I don’t advise statin therapy. My patients are free to follow the guidelines and take statin drugs after this advice, but most are very grateful that another pill (which they likely have heard bad things about on the internet or from friends with adverse experiences) can be avoided. Statins are wonderful drugs when utilized in the right population, but they also carry a 9% increased risk of diabetes and about a 10% real world risk of developing muscle aches and weakness (myalgia). I think it is essential to aim these two-edged swords at the right targets if we are to maximize the overall health benefits. For most of the last 25 years I have told patients when I recommend a statin drug to them that they should take it in order to lower their bad cholesterol (and raise the good cholesterol) thereby lowering their risk of future heart attacks. I based this statement on my understanding of large statin trials which demonstrated reduction in heart attacks seemingly closely tied to drops in the bad cholesterol level. Although I was aware of the so-called “pleiotropic” (meaning effecting multiple pathways leading to atherosclerosis) of statins it was easier to point to the cholesterol lowering effects and unify that message with the recommendation to reduce fat and cholesterol in the diet , thereby lowering cholesterol in the blood and arteries and cut heart attack risks. Thus emerged a very simple (and likely false) paradigm: Fat in the diet causes fat in the blood which causes fat in the arteries which causes fatty plaques in the coronary arteries which causes heart attacks when they get too big and block off the blood flow. I, like most cardiologists and lay people mistakenly assumed that since lower bad cholesterol levels associated with taking a statin drug were associated with lower heart attack risks then dietary changes aimed at lowering bad cholesterol levels would also lower heart attack risk. 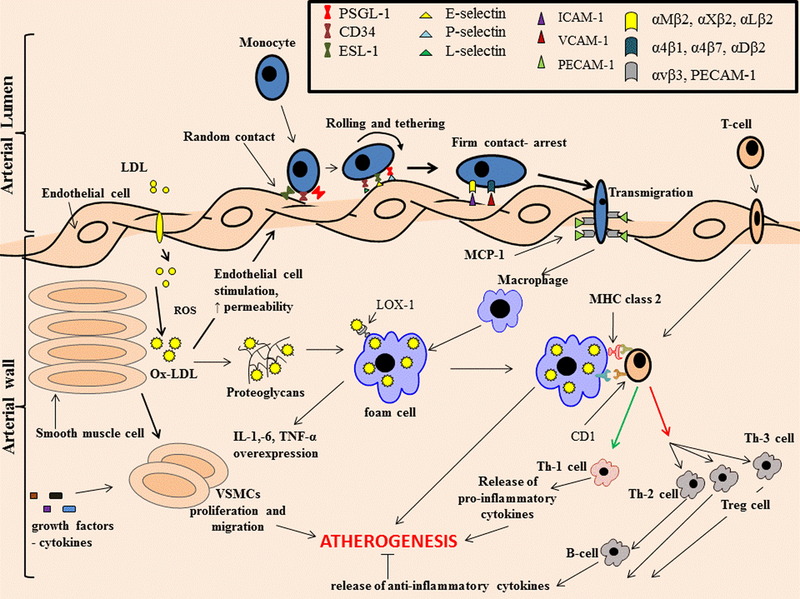 some of the cholesterol-independent or “pleiotropic” effects of statins involve improving endothelial function, enhancing the stability of atherosclerotic plaques, decreasing oxidative stress and inflammation, and inhibiting the thrombogenic response. 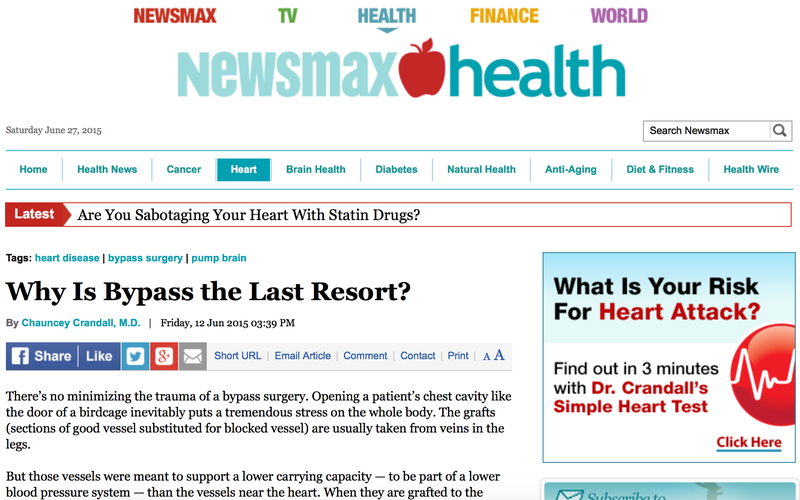 Furthermore, statins have beneficial extrahepatic effects on the immune system, CNS, and bone. Many of these pleiotropic effects are mediated by inhibition of isoprenoids, which serve as lipid attachments for intracellular signaling molecules. In particular, inhibition of small GTP-binding proteins, Rho, Ras, and Rac, whose proper membrane localization and function are dependent on isoprenylation, may play an important role in mediating the pleiotropic effects of statins. -Most heart attack victims don’t have elevated bad cholesterol levels and dietary reduction of bad cholesterol doesn’t seem very effective at preventing heart attacks. -Drugs, like Zetia or ezetimibe which lower cholesterol level by other mechanisms don’t seem to prevent atherosclerosis even though they substantially lower bad cholesterol levels. Atherosclerosis, once thought to be a lipid storage disease, is now considered a chronic low-grade inflammatory condition that affects the vascular wall. It is characterized by the deposition of cholesterol and lipids followed by infiltration of T cells and macrophages, all as a result of an endothelial injury response. I’m including this figure from the article to give you some idea of how incredibly complicated the process is. Overview of Mechanisms Involved in Atherosclerosis Low-density lipoprotein (LDL) is oxidized in the presence of reactive oxygen species (ROS) and binds to proteoglycans (heparin sulfate) while simultaneously stimulating the endothelium, leading to adhesion molecule overexpression and increasing its permeability. Apart from this action, oxidized low-density lipoprotein (ox-LDL) inhibits nitric oxide (NO) production, prohibiting vasodilation. Furthermore, cytokines and other chemoattractant molecules, such as MCP-1, are secreted, favoring leukocyte adhesion. Leukocytes come into random contact with the activated endothelium and, due to interactions with adhesion molecules, roll and tether and are subsequently firmly arrested. In addition, leukocytes transmigrate into the subendothelial space, where they differentiate into macrophages, which in turn take up ox-LDL, forming foam cells. Ox-LDL antigens are presented by macrophage major histocompatibility complex class II (MHC-II) proteins and are recognized by CD4+ T cells. These preferentially differentiate into Th-1 cells, pro-inflammatory cytokine production. Finally, smooth muscle cell (SMC) proliferation and migration are induced as a result of cytokine and growth factor secretion. Can you imagine trying to explain this to the average patient? My eyes glazed over once I reached MCP-1. Thus, doctors end up giving the simple, accepted conventional wisdom that we are “treating” high cholesterol by giving statin drugs. What we are really treating is atherosclerosis. And statins are the only effective drug treatment we have identified for this ubiqitous and complex process. It is entirely possible that the lower LDL cholesterol caused by statin drugs is totally unrelated to their ability to forestall atherosclerosis. The new cholesterol guidelines reflect this concept as they don’t recommend treating to an LDL target level. I end with the closing comments from the article by Tousoulis, et al. Given the fact that atherosclerosis is a multivariable disease, with several molecules involved in each stage, it is vey difficult to find an effective treatment. However, statins prove to be the most effective treatment so far because they interfere with most of the critical components of the atherosclerotic process and have been proven to have beneficial effects. Further to their well-established impact on nonspecific low-grade inflammation, statins also appear to have significant effects on innate and adaptive immunity that have been underestimated so far. Searching for Subclinical Atherosclerosis: Coronary Calcium Score-How Old Is My Heart? 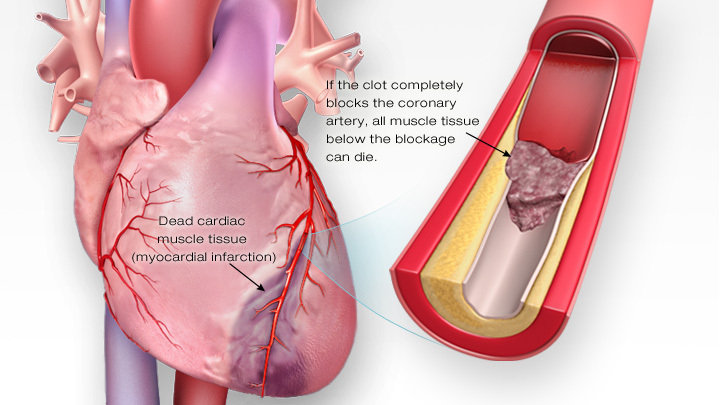 Heart attacks and most sudden cases of sudden death are due to rupture of atherosclerotic plaques. Thus, it makes sense to seek out such plaques, a process I call searching for subclinical atherosclerosis. I’ve talked about using high frequency ultrasound of the carotid arteries to the brain to look for plaque and for carotid IMT in earlier posts here and here. There is a third method that looks directly at the coronary arteries, which supply blood to the heart. It is variously called a heart scan, coronary calcium score, or cardioscan, and it is more widely utilized amongst physicians who are serious about preventing cardiovascular disease. This technique utilizes the ionizing radiation inherent in X-rays to perform a CT examination of the chest. It does not require injection of any dye or the puncture of any arteries; thus, it is considered noninvasive and has no risk or pain associated with it. When atherosclerosis first begins to form in the arteries, it generally takes the form of “soft” plaques. Soft plaques are initially full of lipids, but after a period of time, the plaques undergo change: calcium begins to deposit into this plaque. There is a direct relation ship between coronary artery calcium (CAC) and the amount of atherosclerotic plaque in the coronary arteries. CT scans are very accurate in identifying small amounts of calcium in the soft tissue of the body. Calcium score tests essentially look for blobs of calcium that are felt to be within the coronary arteries, count up the intensity and distribution of them, and calculate a total score that reflects the entire amount of calcium in the coronary arteries. A large body of scientific literature has documented that higher calcium scores are associated with higher risk of significantly blocked coronary arteries and of heart attack. You can read the NHLBI clinic’s info for patients here on the test. How Is The Calcium Score Used To Help Patients? The calcium score can be utilized (in a manner similar to the carotid IMT and plaque) to help determine whether a given individual has more advanced atherosclerosis than we would predict based on their risk factor profile. A score of zero is consistent with a very low risk of significantly blocked arteries and confers an excellent prognosis. On the other hand, scores of >400 indicate extensive atherosclerotic plaque burde , high risk of heart attack, and high likelihood of a significantly blocked coronary artery. The calcium score (similar to the carotid IMT) increases with age and is higher in males versus females at any given age. We have very good data on age and gender normals. The average 50-59 year old woman has a zero score, whereas a man in that age range has a score of 30. The average man has developed some CAC by the fourth decade of life whereas the average woman doesn’t develop some until the sixth decade. 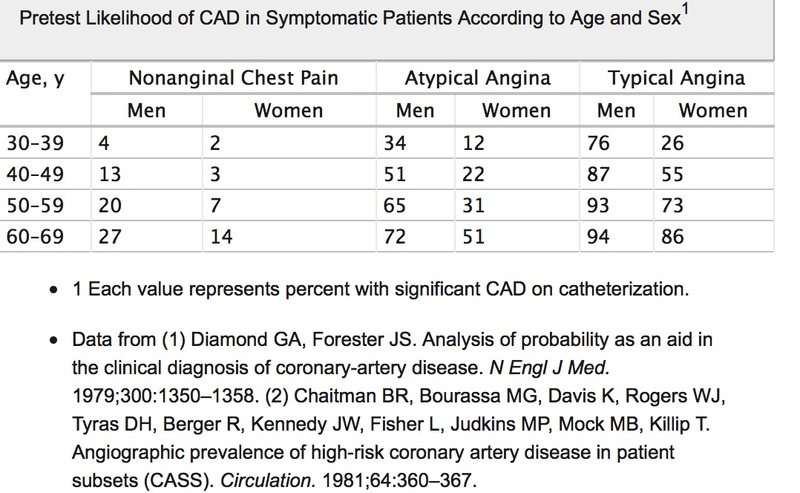 More advanced CAC for age and gender is a poor prognostic sign. 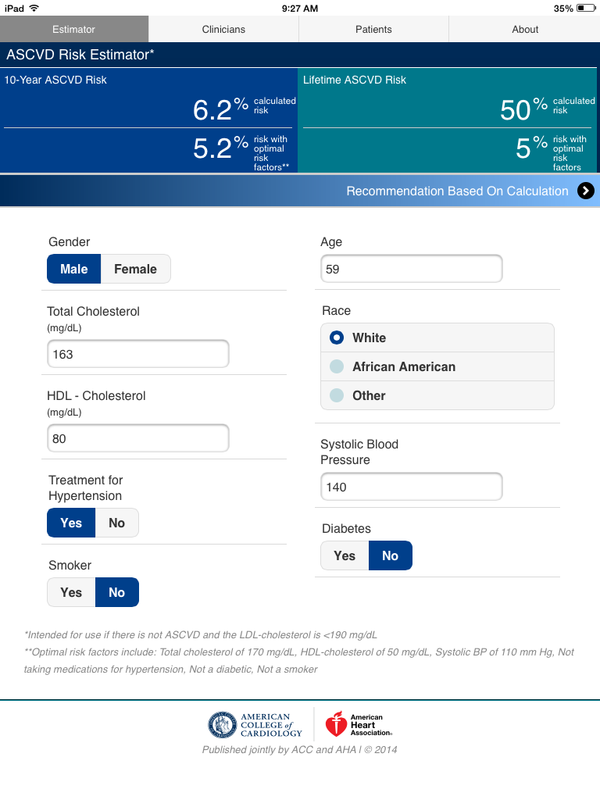 You can plug your own age, gender, race and CAC score into a calculator on the MESA (Multi-ethnic Study of Atherosclerosis) website here. This guideline recommended utilizing a CAC score of >300 Agatson Units or >75th percentile for age, gender and ethnicity as a cut-off. A forty-something year old man came to see me for palpitations. He had a stress echo which was normal except for the development of frequent PVCs and a brief run of non sustained ventricular tachycardia. His risk factor profile was not particularly bad: no diabetes, hypertension, or cigarette smoking and an average lipid profile. When I calculated his 10 year risk of ASCVD using my iPhone app it came out at 7%: below the level at which statin treatment would be recommended. Because his father had a coronary stent in his fifties (this does not qualify as a family history of heart disease according to the new guideline, by the way) I recommended he get a CAC test done. His CAC score came back markedly elevated, almost 1000. . A subsequent cardiac catheterization demonstrated a very high-grade coronary blockage iwhich was subsequently stented. I started him on high intensity statin therapy and he has done well. Many individuals with high cholesterol values do not develop atherosclerosis. A zero CAC score in a male over 50 or a woman over 65 (or non-zero CAC score that is <25th percentile for age, gender, ethnicity) indicates that they are not developing atherosclerosis and makes it less likely that they will benefit from statin therapy to lower cholesterol. -Like carotid vascular screening, there is no reason to get a CAC test if you already have had problems related to blocked coronary arteries such as a heart attack or coronary stents or coronary bypass surgery. -CAC score testing is not covered by insurance (except in Texas) and costs somewhere between $125 and $300 out of pocket. -The CT scan leads to a small amount of radiation exposure-approximately 1 – 2 milliseiverts of radiation (mSv). To puts things in perspective, the annual radiation dose we receive from natural sources is around 3 mSV per year. I’ve discussed in a previous post the importance of detecting subclinical atherosclerosis. The process of atherosclerosis (the build up of fatty plaques in all arteries) occurs silently and often the first symptom is sudden death due to a heart attack. Examining the large arteries in the neck (the carotids) with ultrasound for early fatty plaques helps establish whether atherosclerosis is present or not. If there is plaque in the carotids this is a strong indicator that atherosclerosis is present throughout the large arteries of the body including the coronary arteries supplying blood to the heart. Ruptured plaques in the coronary arteries are what cause heart attacks and most cases of sudden cardiac death are due to heart attacks. If we can identify those who have subclinical (i.e. before significant blockages and symptoms develop) atherosclerosis, we can better target aggressive therapy to those at the highest risk. There is a second technique which uses carotid ultrasound available to evaluate an individual’s longer term risk of heart disease even before plaque develops. 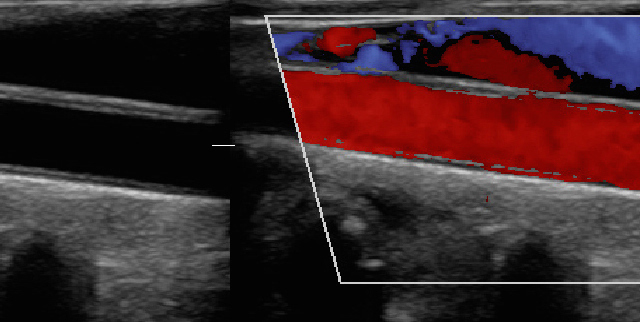 This technique is termed carotid IMT. IMT (intimal-medial thickness ) refers to the thickness of the wall of the artery which includes the thin layer of cells lining the inside of arteries or intima and the smooth muscle in the wall of the artery (media). The Carotid IMT has been shown to be related to all of the risk factors that medical science knows for atherosclerosis. It progressively increases with normal aging and we have data on what the normal value is for white and black men and women between the ages of 40 and 70. By making multiple precise and careful measurements of an individual’s CIMT we can determine where that individual stands in comparison to normal individuals of the same age, gender and race. Individuals whose CIMT is great than that of 75% of individuals of the same age and gender are at significantly higher risk of heart attack and stroke even if no carotid plaque is discovered. Thus, the CIMT serves somewhat as an early warning signal for unhealthy arteries. We can also determine a so-called vascular age from this technique. An example of this is shown to the left. . The individual was an asymptomatic young man. He had no plaque but his CIMT measured 0.770, which is significantly higher than the normal CIMT for a similarly aged white male of 0.598. This is thicker than 80% of normal individuals of the same age and gender. It is normal for an individual who is 65 years old. Thus, this individual’s vascular age is 65 years, 20 years greater than his chronological age. In my office I usually recommend a combination of CIMT and carotid plaque be performed in individuals in whom I am trying to assess risk of cardiovascular disease between the ages of 40 and 70. There is no reason to do CIMT in patients who have documented coronary heart disease (heart attack/stroke/stent/bypass surgery), carotid disease (stroke/carotid surgery), or peripheral arterial disease. These patients have already passed the early warning phase of atherosclerosis. This technique should only be done by physicians/technicians who have been adequately trained and have dedicated themselves to performing the meticulous tiny measurements required in an accurate manner. Major cardiovascular organizations differ on recommending CIMT for screening purposes. Well-respected scientific papers have clearly established CIMT as reproducible and highly predictive of vascular events but there is no randomized , controlled trial which establishes that utilizing it in conjunction with treatment decisions based on the results will improve cardiovascular outcomes. For this reason, even though it is cheap, painless, harmless and quick insurance companies do not reimburse for the costs. *We don’t have good data sets on individuals under the age of 40 years. I offer CIMT to this group and extrapolate the good data but more studies are needed in this age range. *We don’t have good data sets on ethnicities other than the African-americans and European and American whites. *Multiple methods of CIMT recording and measurement have been published. *I don’t find CIMT useful in individuals over the age of 70. Carotid plaque is much more helpful. Most men have carotid plaque by this age. If you don’t have any carotid plaque over the age of 70 years then you are in a very low risk category and are unlikely to benefit from statin or aspirin therapy. The full process underlying intimal thickening is not fully understood but is thought to be similar, though not identical, to that underlying atherosclerosis. The hypothesis that IMT represents subclinical vascular disease may be supported by the finding of graded associations between IMT and concurrent atherosclerotic change visualized in the coronary arteries during angiography. It is important to note, however, that whilst in many cases thickening of the intima–media does represent atherosclerotic change, in other cases it may represent non-atherosclerotic lesions such as hypertrophy in response to shear stress on the artery wall. I reviewed in a previous post the importance of detecting sublinical atherosclerosis when trying to assess someone’s risk of heart attack and of dying suddenly. Subclinical atherosclerosis refers to the build-up of plaque in the lining of our arteries which occurs long before any symptoms of atherosclerosis occur. Since the process tends to be diffuse, occurring in all the large arteries of the body, it makes sense that if we can easily visualize one artery this will give us a window into what is happening in other arteries (including the coronary arteries supplying blood to the heart muscle). The vascular screening I offer in my office uses high frequency ultrasound to image the large artery, the carotid artery, that supplies blood to the brain. Normally the lining of that artery is smooth and thin as in the example to the left. As the process of atherosclerosis works its damage on the artery lining it becomes thicker and plaque begins to develop. High frequency ultrasound is an excellent tool for identifying these early, subclinical stages of atherosclerosis because it is painless, harmless, inexpensive, and quick. 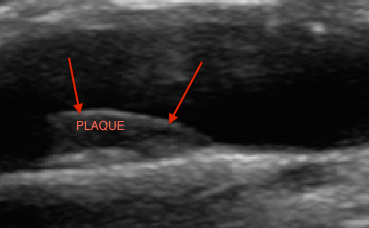 Large, relatively echo lucent (soft) plaque found in the internal carotid artery of Mr. M.
This indicates that although his known risk factors for atherosclerosis were not tremendously high, the combination of known and unknown factors (likely genetic, given his brother’s premature CAD) were damaging the lining of his arteries leaving him at a high risk for stroke and heart attack. Several studies have shown in those patients who are reluctant to start statin therapy, documenting subclinical atherosclerosis serves as a strong motivational factor for lifestyle change or compliance with medications. Equally important as identifying advanced subclinical atherosclerosis, imaging the carotid artery can identify those patients who are at lower risk and save them from a lifetime of unnecessary treatment. Ms N is 64 years old whom I see h for high blood pressure and supra ventricular tachycardia (an abnormal heart rhythm). She has a total cholesterol of 219, HDL(or good) cholesterol of 74, systolic blood pressure of 130 and the ACC risk estimator gives her an 8.4% risk of ASCVD over the next 10 years. She greatly dislikes taking medications, but her mother died in her early fifties from a “massive heart attack” . Her carotid exam shows the carotid thickness as less than average for her age and gender, equivalent to that of a 58 year old. There is no plaque anywhere in her carotid system. I feel comfortable not recommending statins to this type of patient. In many cases, I often stop cholesterol treatment in patients with no evidence for subclinical atherosclerosis who have marginal cholesterol levels and intermediate risk. What vascular screening allows me is the ability to see if my patients do or do not have the disease that we are trying to prevent or mitigate: atherosclerosis. As the skeptical cardiologist I must point out that national guidelines do not endorse vascular screening primarily because there are no randomized controlled trials showing that it influences outcomes. I’ll talk more about potential pitfalls of vascular screening when done by for profit ventures in a subsequent post and we’ll discuss the other good way of assessing for subclinical atherosclerosis: coronary calcium. Searching for Subclinical Atherosclerosis: Am I about to drop dead? There is very good reason to be concerned. Cardiac disease is the leading cause of death in America. Despite considerable progress, regrettably 50% of deaths occur suddenly, without any previous symptoms which would have suggested a cardiac problem. It doesn’t just hit the overweight or the smoker. It not uncommonly strikes the very fit and seemingly healthy, as in the case of the St. Louis Cardinal pitcher, Daryl Kile, who was found dead in his hotel room at the age of 34. This question of who is going to suddenly drop dead (sudden cardiac death or SCD) is one of the fundamental unsolved mysteries in current cardiology. Most SCD in individuals over the age of 35 is related to the development of fatty plaques (atherosclerosis) in the arteries that supply blood to the heart (coronary arteries) and the subsequent sudden rupture of these plaques (thrombosis). The result of this rupture is the complete blockage of the artery and the total cessation of blood flow to a portion of the heart muscle. When that heart muscle portion becomes starved for oxygen, the muscle cells start dying and a myocardial infarction (MI) or heart attack occurs. You can view an animation of this process here With any MI, the dying muscle cells can become electrically irritable and initiate an abnormal heart rhythm called ventricular tachycardia (VT) or ventricular fibrillation (VF). This abnormal rhythm is what causes people to “drop dead” suddenly. Basically, the heart cannot pump blood efficiently in VT or VF; thus, there is no blood flowing to the brain and other vital organs. This is a long, complicated chain of events, but basically it begins with the development of fatty plaques or atherosclerosis. It makes sense that we can stop people dropping dead from MI by stopping the development and progression of atherosclerosis. Atherosclerosis develops long before any clinical signs or symptoms of disease. You can feel totally fine and have a huge build up of plaque in all of the arteries of your body. This is termed subclinical atherosclerosis. It makes sense, and it has been scientifically proven, that those with a huge buildup of plaque (high plaque burden) are at higher risk for MI and death than those with low or no plaque burden. It also makes sense that treating those patients with high plaque burden will be most beneficial. I discussed the standard recommended method for determining risk of MI/SCD in my last post on statins. Basically, this is simply adding up the factors we know contribute to atherosclerosis: diabetes, cigarette smoking, hypertension, age, gender and cholesterol levels. However, most heart attacks and strokes occur in people who are classified by traditional risk factor scoring as low or intermediate risk. Conversely, others are misclassified as high risk and mistakenly advised to take drugs to reduce their risk factors for the rest of their lives. How Can We Detect Subclinical Atherosclerosis? In my office practice I offer patients two tests which directly detect and quantify subclinical atherosclerosis. One looks for plaque and thickening in the larger arteries of the neck, the carotid arteries, and one looks for calcium in the coronary arteries. I’ll go into detail about both of these in subsequent posts. For now, I will just say that the carotid screening technique uses harmless ultrasound while the coronary calcium technique uses ionizing radiation from a CT scan. Neither test is covered by insurance or Medicare. Both tests have been shown to improve our ability to identify those at risk for MI and stroke. *The first scenario is the patient who appears to be at low or intermediate risk for atherosclerosis based on the risk estimator, but who has a strong family history of MI, sudden death or stroke. If we identify significant subclinical atherosclerosis in this patient, statin therapy is more likely to be beneficial. *The second scenario is the patient who has been put on statins for primary prevention based on standard risk estimator but has no family history of ASCVD and is questioning the need for treatment. In this patient if we find no subclinical atherosclerosis, a strong argument can be made to stop the statin drug. There is an organization dedicated to promoting the detection of SA by these tests and an algorithm for treatment called SHAPE (Society for Heart Attack Prevention and Education). Interestingly, after a female Texas state representative suffered an MI, in 2009, Texas Governor Ricky Perry signed off on the Texas Heart Attack Prevention Bill mandating health-benefit plans to cover screening tests for SA. No other state to my knowledge has such a law. The two tests I mentioned are a good second step towards identifying the individual at risk for MI and SCD but we still don’t know who among those with advanced subclinical atherosclerosis is going to experience a sudden rupture of plaque, have an MI and drop dead. We need a way to identify those patients with vulnerable plaque (one that is about to rupture) and aggressively treat those patients. This is an area of intense research focus. You can view a fascinating video (accompanied by weirdly cool music) created by SHAPE here and another (featuring a gun shooting a heart) here emphasizing the importance of the vulnerable plaque. I’ve been meaning to blog on the new ACC/AHA (ACC=American College of Cardiology, AHA=American Heart Association) guidelines for treatment of high cholesterol but have been waiting for the initial controversy to die down and to get more experience with using them. 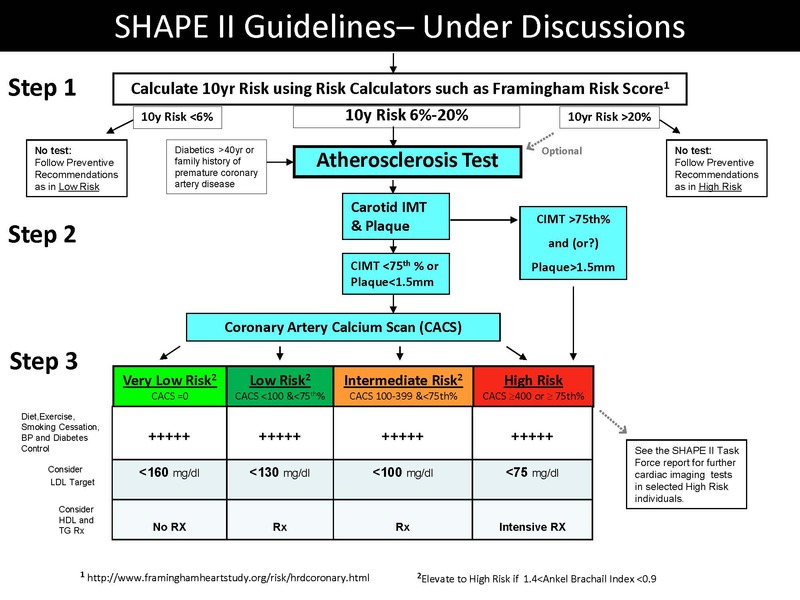 One of the areas of controversy has been the ASCVD (atherosclerotic cardiovascular disease) risk estimator. These guidelines attempt to look at risk of both stroke and heart attack (the components of atherosclerotic cardiovascular disease) and what published scientific research tells us works to reduce that risk. It is the last category that has garnered the most controversy as it appears this will substantially increase the number of patients in whom statin therapy is recommended. In addition, the accuracy of the risk estimator has been questioned. When the guidelines were released the risk estimator was available as a downloadable Excel spreadsheet which was very cumbersome to use (and did not work on my Mac). Today, the ACC announced that an iphone/ipad app version of the risk estimator was available on itunes . You can download it for free here. (The app is now called ASCVD Plus) It’s pretty well done. You enter your age, race, gender, HDL (“good” cholesterol) and total cholesterol along with yes/no answers to whether you have diabetes, treatment for hypertension or are a smoker. Your 10 year risk of ASCVD appears as a percentage. I’ll be utilizing this on every patient I see that does not have clinical ASCVD. I would encourage everybody to download this app and find out what your risk is. The higher your risk, the more likely your are to benefit from taking a statin drug, the lower it is, the less likely the benefits of lifelong drug treatment will outweigh the risks. Understanding your risk of ASCVD is the crucial first step to having an informed discussion with your physician about atherosclerosis and the risks and benefits of drug therapy to prevent strokes and heart attacks.